Start by preheating your oven to 425°. While the oven is preheating, combine together the warm water and yeast letting it stand for at least 5 minutes. Next, in a small bowl combine flour, sugar and salt. Once mixed, add in the yeast mixture and use your hands to create a small, rolled ball of dough. Prep your next work space with a small amount of flour and place your dough in the middle, knead your dough until smooth. Once the dough is smooth, you can start making your pretzel forms. You can easily keep them in a pretzel stick form or turn them into a twist if you prefer. Once shaped, combine 1 egg and a few drops of water together in a small bowl to create an egg wash that will be brushed over each pretzel. Finish with a sprinkle of salt. 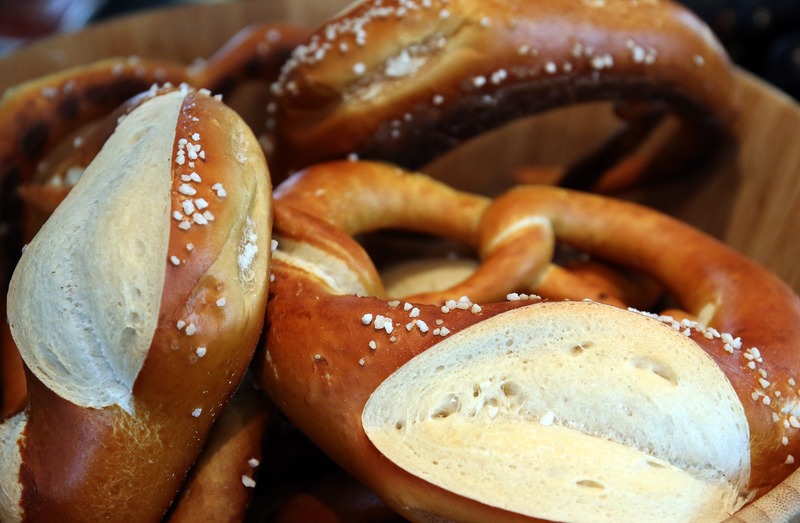 When the pretzel’s are ready for the oven, bake them for 12-15 minutes or until they start to become golden brown. Add any toppings you prefer in the cooling stage and serve!